KCKCC’s Collier named Jayhawk player of week for fourth time in 12 weeks – Welcome to Wyandotte Daily! 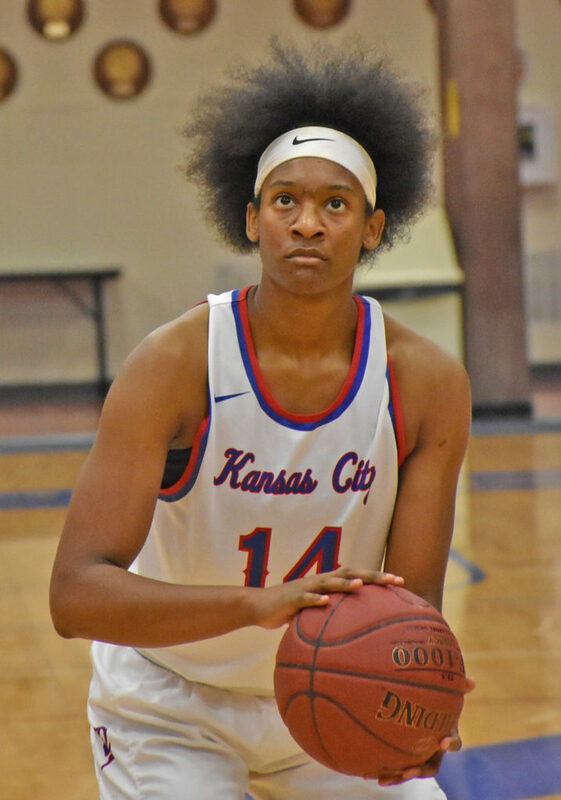 For the fourth time this season, Kansas City Kansas Community College sophomore Nija Collier is the Kansas Jayhawk Community College Conference Player of the Week. In addition, the 6-0 power forward from Detroit has twice been NJCAA National Player of the Week. Collier earned the KJCCC Player of the Week award for Week 12 after averaging 20 points and 9.5 rebounds and shooting 71.4 percent from the field in two Blue Devil wins. Collier scored a point a minute in KCKCC’s 78-72 win over No. 3 ranked Highland, finishing with 21 points in 21 minutes while hauling down 12 rebounds. She was 7-of-10 from the field after netting 8-of-11 while scoring 19 points and grabbing seven rebounds in an 82-41 win over Fort Scott. Her double-double against Highland was her 17th in 24 games. Collier leads the Jayhawk Conference in scoring (17.7), is second in rebounding (10.6) and field goal percentage (.626) and third in 3-point field goal percentage (.424), the only player to rank in all four statistical categories. Nationally, Collier ranks fifth in offensive rebounds, seventh in field goal percentage and 10th in total rebounds. This is the fifth time a Blue Devil has been named Player of the Week. Sophomore Lillie Moore earned the award the previous week.